As so much of the Hoover presidency is circumscribed by the onset of the Great Depression, one must be careful in assessing his successes and failures, so as not to attribute all blame to Hoover. 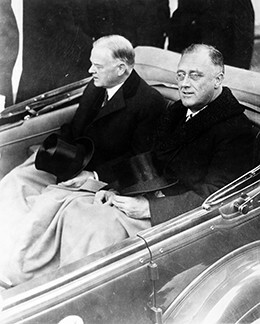 Given the suffering that many Americans endured between the fall of 1929 and Franklin Roosevelt’s inauguration in the spring of 1933, it is easy to lay much of the blame at Hoover’s doorstep. 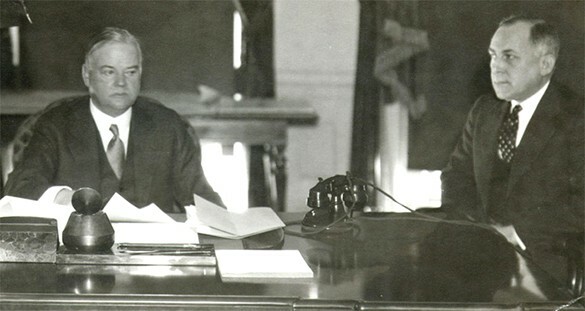 However, the extent to which Hoover was constrained by the economic circumstances unfolding well before he assumed office offers a few mitigating factors. Put simply, Hoover did not cause the stock market crash. However, his stubborn adherence to a questionable belief in “American individualism,” despite mounting evidence that people were starving, requires that some blame be attributed to his policies (or lack thereof) for the depth and length of the Depression. Yet, Hoover’s presidency was much more than simply combating the Depression. To assess the extent of his inability to provide meaningful national leadership through the darkest months of the Depression, his other policies require consideration. However, Hoover the president was a product of his time. Americans sought a president in 1928 who would continue the policies of normalcy with which many associated the prosperity they enjoyed. They wanted a president who would forego government interference and allow industrial capitalism to grow unfettered. Hoover, from his days as the secretary of commerce, was the ideal candidate. In fact, he was too ideal when the Great Depression actually hit. Holding steadfast to his philosophy of “American individualism,” Hoover proved largely incapable of shifting into economic crisis mode when Americans came to realize that prosperity could not last forever. Desperate to help, but unwilling to compromise on his philosophy, Hoover could not manage a comprehensive solution to the worldwide depression that few foresaw. Only when reelection was less than a year away did a reluctant Hoover initiate significant policies, but even then, they did not provide direct relief. By the start of 1932, unemployment hovered near 25 percent, and thousands of banks and factories were closing their doors. Combined with Hoover’s ill-timed response to the Bonus Army crisis, his political fate was sealed. Americans would look to the next president for a solution. “Democracy is a harsh employer,” Hoover concluded, as he awaited all but certain defeat in the November election of 1932.